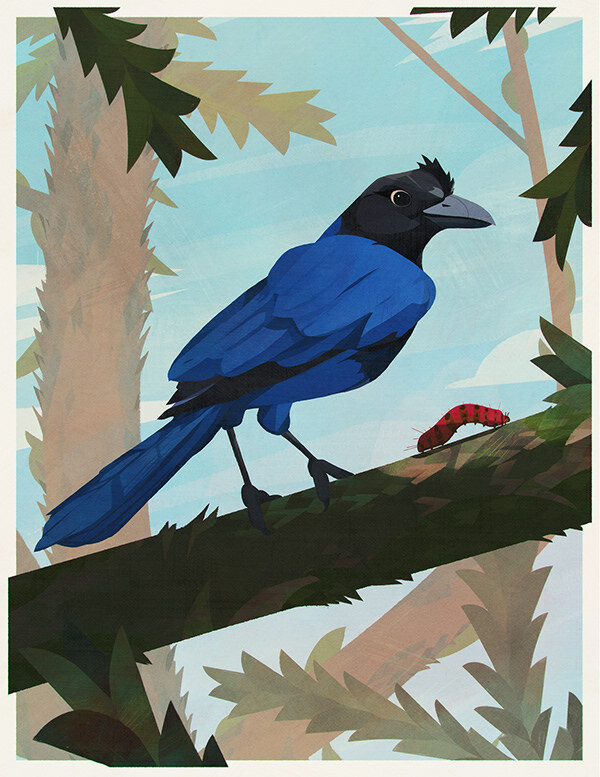 This project is part of series of illustrations celebrating the incredible fauna of Brazil. 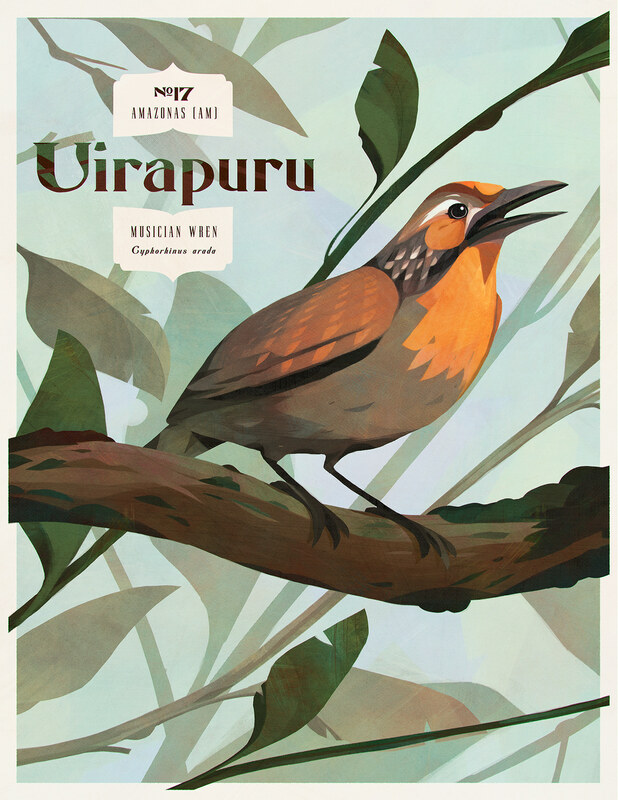 With more than 18 hundred confirmed species, Brazil has one of the richest bird diversities in the world. This series showcases the 27 state birds, and these are the first 5. 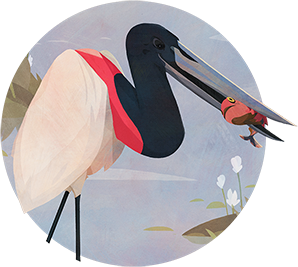 The project pays homage to the style of scientific illustration of the early 20th century, and the vintage travel postcards of the New World. 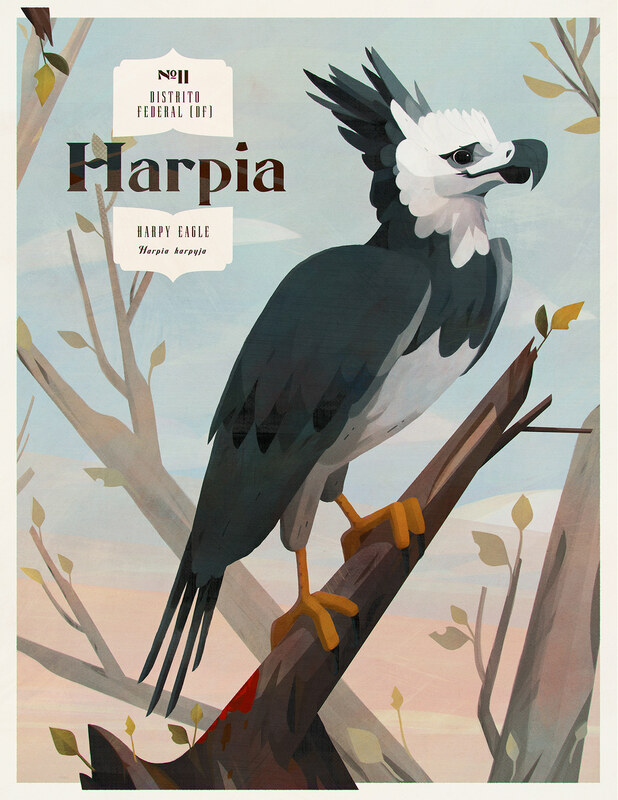 They are the tallest flying bird in South and Central America. 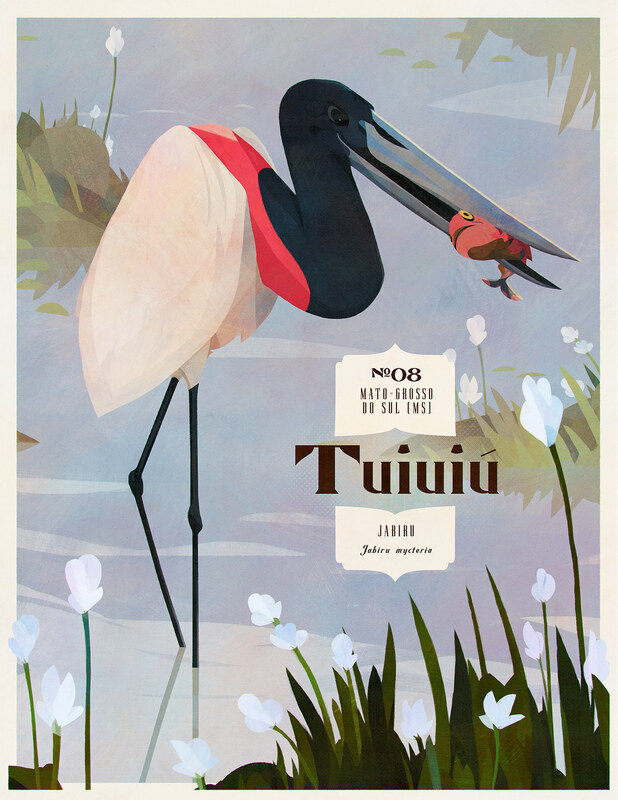 The name comes from the Tupi–Guaraní language and means "swollen neck". 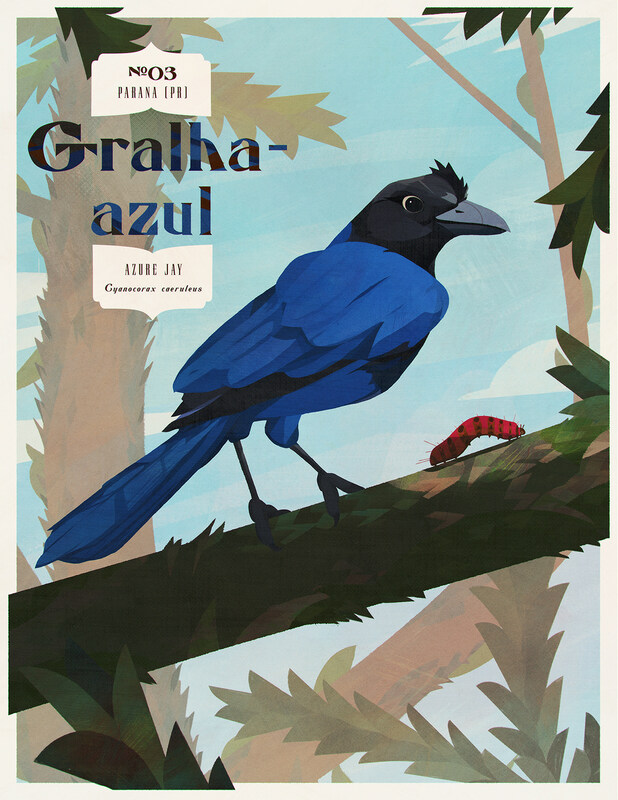 The Azure jay is the largest South American corvid, and the subject of many legends in the southern states. The musician wren is a species of wren named for its elaborate song. It is the subject of several legends and fables, most relating to its loud and beautiful song. 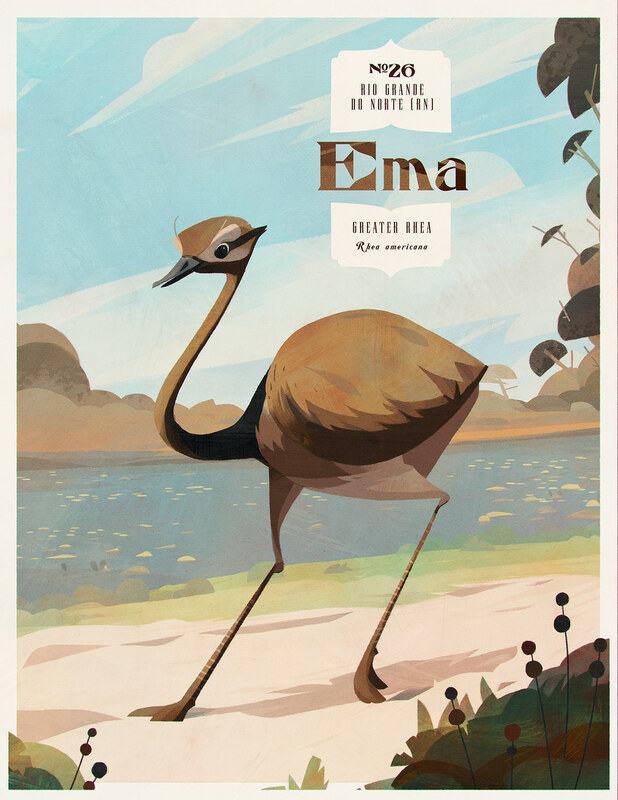 In addition to the main illustrations, a set of typographic posters was also created. 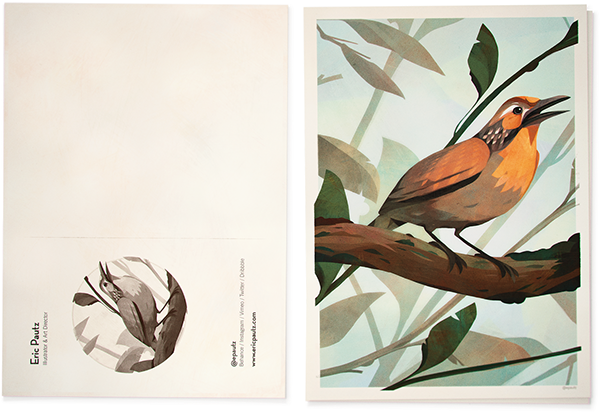 These prints offer additional information related to the species and the state that they represent. Birds of Brazil This project is part of series of illustrations celebrating the incredible fauna of Brazil. 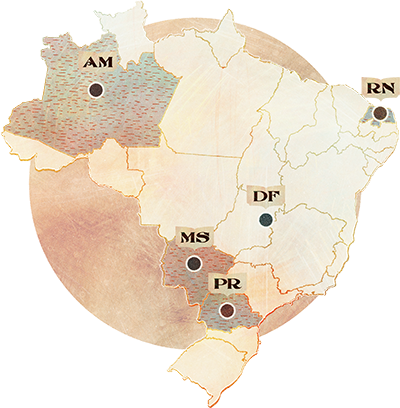 With more than 18 hundred confirmed species, Brazil has one of the richest bird diversities in the world. This series showcases the 27 state birds, and these are the first 5. 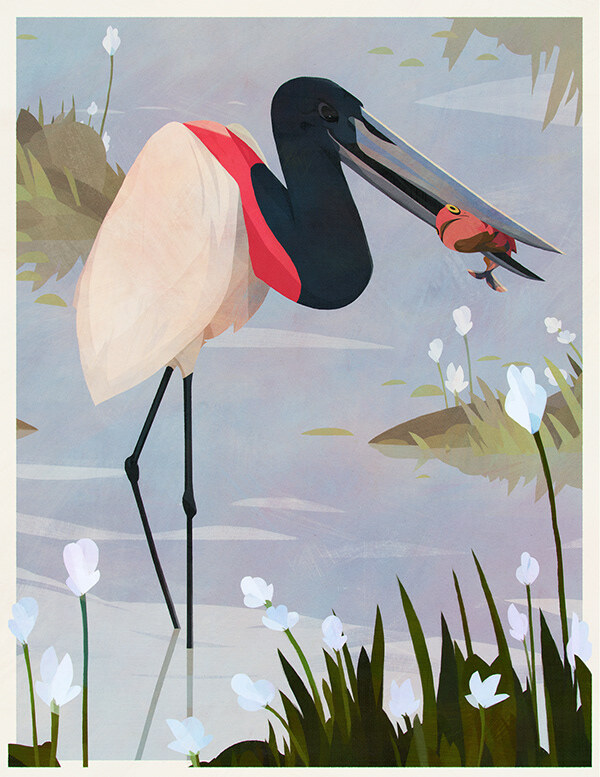 The project pays homage to the style of scientific illustration of the early 20th century, and the vintage travel postcards of the New World.